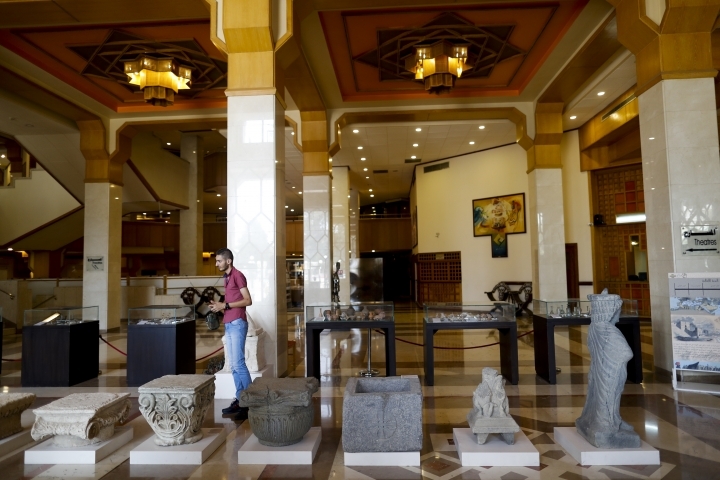 DAMASCUS, Syria — An exhibition in Syria's capital is showcasing hundreds of artifacts that officials say were retrieved from areas formerly held by rebels and from abroad, amid recent gains by the military. Those on display at the capital's Opera House are just some of the roughly 20,000 artifacts that officials estimate have been recovered since the country's war began in 2011. 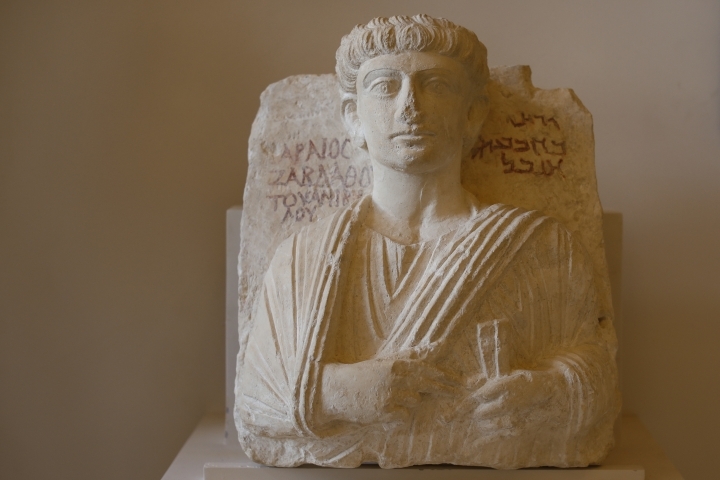 Among those were statues from the Roman era, a statue of the ancient Greek goddess of victory, Nike, and funerary statues recovered from the ancient Syrian city of Palmyra. Syria's conflict has proved particularly dangerous for the country's rich archaeological heritage. 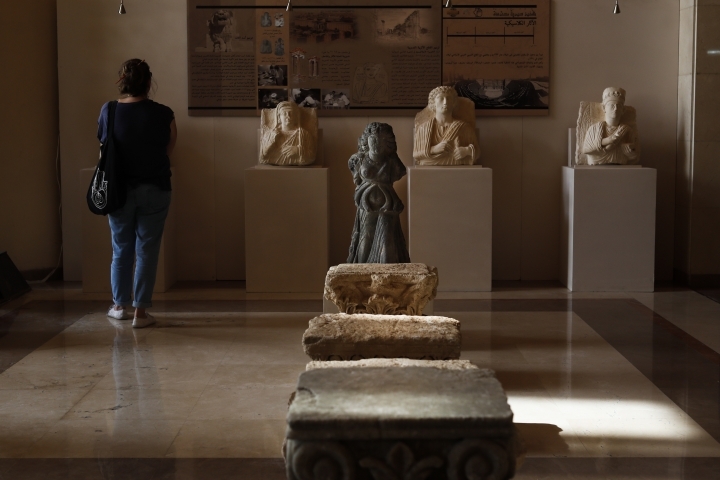 Some sites and artifacts were destroyed by the Islamic State group, while others have been looted, pillaged or illegally trafficked. Qassim Mohammed, assistant secretary at the national museum, said Syria still has a long way to go in recovering its historical heritage. "From 2011, until now, we only have approximate numbers, we don't have final numbers. But we believe about 20,000 artifacts have been recovered, either from militant-held areas or through border controls," he told The Associated Press on Monday. An unknown number of artifacts have been smuggled abroad and sold, and he said he still sees such items for sale on antiquities trafficking websites. He and other Syrian government officials believe that the rebel groups sold the items abroad to fund their fighting operations. Still, he said the army and authorities have made progress in returning artifacts that were in the hands of rebels. One statue, dating to approximately 200 A.D, was found by Syrian soldiers in the office of a leader of the Army of Islam group in eastern Ghouta, a suburb of Damascus formerly held by rebels. The exhibition only displays around 500 artifacts, to give visitors an idea of how much of the cultural heritage was almost lost. In Syria and Iraq, Islamic State fighters destroyed monuments they consider pagan affronts. They and other traffickers also took advantage of the chaos from the seven-year-old civil war to loot heritage sites. 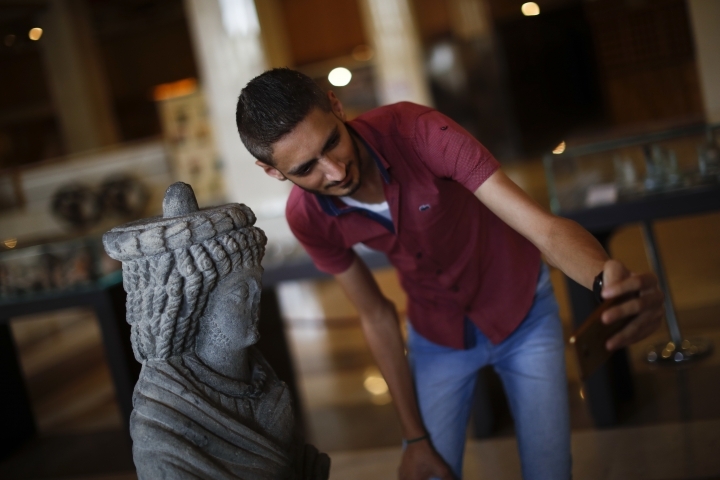 Even in the museums that were evacuated, some items were too large to move — giant statues or ancient gates and murals — and fell into IS hands, their fate unknown. The return of the pieces on display at the exhibition, from Bronze Age spearheads and Byzantine church panels to jewelry from the Roman period, is of inestimable value. "Even the smallest piece here is very important to the history of Syria," Mohammed said.